When you are purchasing a home that you will occupy, it will be your responsibility to purchase the home warranty. In some instances, sellers will offer to buy it for you. They do this because home warranty plans usually last one year, and they lower the risk that a buyer will sue a seller if a major appliance breaks within that period of time. Unfortunately, this offer is not always extended to buyers, so the choice of whether or not to purchase a home warranty will be entirely up to them. Once you have purchased the home, it will be your duty to replace or repair anything that breaks down. Home warranties often cover the electrical system, the plumbing and home appliances. If any one of these devices needs to be repaired or replaced, it could be expensive. Those who do not have an emergency fund or any way to pay for these repairs may wish to consider purchasing a home warranty so that the cost will be much more affordable for them. If you rent your properties to others, it will be your responsibility to buy the home warranty, and it would be a very wise purchase if the home is older. Things are likely to go wrong in an older home, and this could mean that they will need to be repaired or replaced at great expense. In these cases, your tenants will call you when things stop working, and you will have to make the necessary adjustments to ensure that the home remains habitable according to the rules of your state. 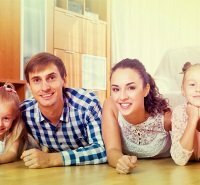 Whether you are a homeowner who is living in the house or are renting the property to others, a basic home warranty plan covers several things, including the water heater, the plumbing system, the electrical system, garbage disposals, cooktops, conventional ovens, microwave ovens, ranges, heating systems and cooling systems. If you have a pool, you can purchase a plan that will cover the pool and the spa as well as the garage door opener, the well pump, the washer, the dryer, the refrigerator and the central air conditioner.